Recording the everyday goings on in our lives has almost become second nature, without most of us even thinking about it. Constant updates on Twitter or Facebook act as a personal archive in a digital age. Events we attend often result in photos being uploaded, tagged, liked and shared; while the advent of new tools like Periscope enable live streaming. While we may think this is a modern phenomenon, a similar, albeit less personal, chronicling of people and events has been going on for centuries and is accessible to us today in the form of archives and art collections. Giving us a window into the lives of those who lived before us, archives have traditionally been seen as a way to enhance learning and increase understanding about the society we live in today. Archive material has also been used as a fun and accessible way to explore our history that goes beyond (sometimes tedious) reading in books. But in this digital age, where does archiving fit in? What purpose does it serve and what relevance can it have to local communities? The Scottish Political Archive (SPA) is a small but dedicated team of researchers and archivists based at the University of Stirling. I’ve been involved as a volunteer since 2012. The archive, which is almost entirely reliant on student and public volunteers to function, is home to collections which document the recent political, social and cultural history of Scotland. 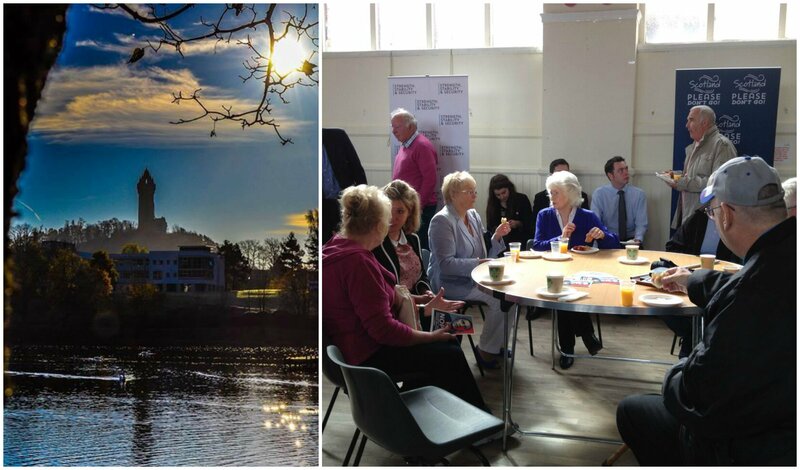 There’s a particular focus on the impact of national events at a local level around Scotland’s Central Belt – preserving the legacy of Scottish politics for future generations. Since its establishment in 2010, the SPA has actively hunted for material to document the recent political history of Scotland, particularly artefacts relating to central Scotland. This includes anything from leaflets and posters to badges, banners, mugs and T-shirts. It seeks to merge the traditional with the digital, with artefacts held on site (available to browse on request) and a digital Flickr archive which includes photos and videos from events attended by researchers and archivists. The 2014 independence referendum archive is now one of the largest that the organisation holds, along with the digital archive of the Scots independent photography collection, and the personal archive of former first Minister of Scotland Baron McConnell of Glenscorrodale (aka Jack McConnell). In addition to this, the archive sends archivists and researchers to public meetings, hustings, party conferences and election night counts so that we can create as complete a documentation of political events from start to finish as possible. This was the case in both the 2014 independence referendum and the 2015 general election campaigns. As well as collecting material to add to its collections, SPA engages widely with the local community and in cooperation with the Stirling University Art Collection has organised projects with local primary schools, elderly groups and marginalised groups. One of the most successful projects to date was a project with inmates of HMP YOI Cornton Vale prison in Stirling. The Create and Curate project, funded by Education Scotland, was designed to provide an innovative way to teach skills and encourage inclusion and participation, with inmates creating pieces of writing and artwork to be displayed in an exhibition. The project helped to build the confidence of those inside the prison and gave them a creative outlet which many said they had never had before. Their work was initially shown in a private exhibition space within Cornton Vale Prison, but has since been moved to an exhibition space at the University of Stirling, where it will remain open for members of the public to view free of charge. The SPA doesn’t just engage with local communities about modern politics. This year marks the second year of commemorations to mark the centenary of the First World War, and more specifically this year, the centenary of the Battle of Gallipoli. SPA and the Art Collection worked with local primary schools in the Stirling area, in cooperation with academics from the University of Stirling and Stirling Council, to host an event to mark 100 years since the outbreak of Gallipoli. The Gallipoli exhibition included the installation of over 100 handmade poppies, to mimic that of Paul Cummins and Tom Piper outside the Tower of London last year. 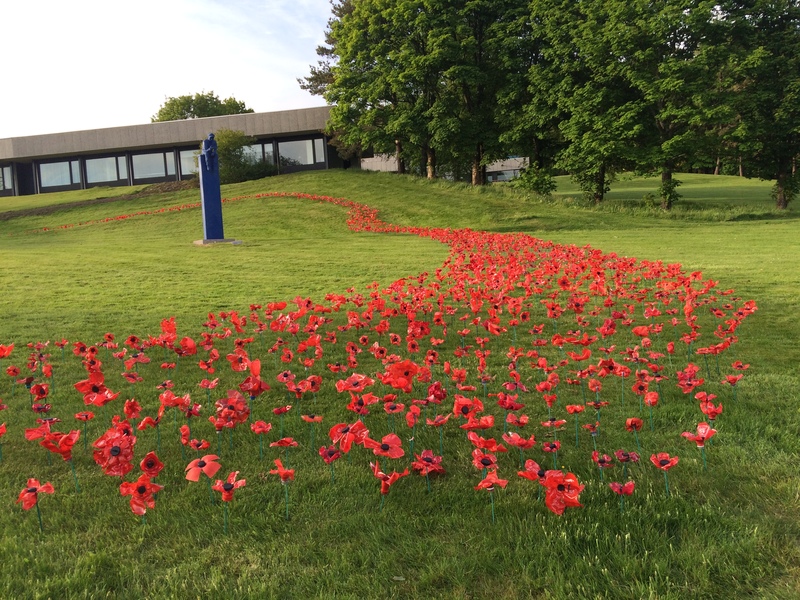 The poppies were made from recycled material by the schoolchildren. The children were then invited to the University grounds to install them alongside representatives from the Scottish Government, Stirling Council and Stirling University. Local authority archive and heritage services have suffered from significant budget cuts in recent years. Demonstrating the value and impact of archives can be hard to evidence – it’s been suggested that the economic value of archives depends on how users make them meaningful. And the sector has suffered from a lack of public and official understanding of their wider benefits. The SPA projects not only highlight how archiving, art and heritage projects are still beneficial to communities today but also show how local authorities can use them to bring social issues to life. By collaborating with other organisations in the cultural sector, local authorities can use resources such as archives to promote local community engagement and link the importance of heritage to community values. It can also provide a way to teach new skills and integrate marginalised groups, as well as acting as a useful way to promote the local area. Earlier this summer, we looked at the question of the use of volunteers to run libraries and archives, and the risks associated with the fragmentation of these public services.